Here you can find information on the research conducted in Aquatic Community Ecology group in University of Helsinki. We hope you find these pages interesting! We study aquatic community ecology, biogeography and macroecology and use unicellular organisms as model system to test general ecological theories. Our studies are also useful for biodiversity conservation in freshwaters and for biological monitoring. Biological diversity comprises both species richness, i.e., the number of species in a community, and evenness, measuring how similar species are in their abundances. The relationship between species richness and evenness (RRE) across communities remains, however, a controversial issue in ecology because no consistent pattern has been reported. We conducted a systematic meta-review of RRE in aquatic ecosystems along regional to continental gradients and across trophic groups, differing in body size by 13 orders of magnitude. Hypotheses that RRE responded to latitudinal and scale variability across trophic groups were tested by regression analyses. Significant correlations of species richness and evenness only existed in 71 out of 229 datasets. Among the RRE, 89 were negative and 140 were positive. RRE did not vary with latitude but showed a positive response to scale. In a meta-analysis with ecosystem type as a single explaining variable, RRE did not vary among ecosystem types, i.e. between marine and freshwater. Finally, autotrophs had more positive RRE than heterotrophs. The weak RRE in many aquatic datasets suggests that richness and evenness often reflect independent components of biodiversity, highlighting that richness alone may be an incomplete surrogate for biodiversity. Our results further elucidate that RRE is driven by organismal and environmental properties, both of which must be considered to gain a deeper understanding of large-scale patterns of biodiversity. This entry was posted in Sekalaista on 15.6.2012 by Janne H Soininen. Aim While ecologists have long been interested in diversity in mountain regions, elevational patterns in beta diversity are still rarely studied across different life forms ranging from micro- to macroorganisms. Also, it is not known whether the patterns in turnover among organism groups are affected by the degree to which the environment is modified by human activities. Location Laojun Mountain, Yunnan Province, China. Methods The beta diversity patterns of benthic microorganisms (i.e. diatoms and bacteria) and macroorganisms (i.e. macroinvertebrates) in a stony stream were simultaneously investigated between elevations of 1820 and 4050 m. Data were analysed by using a distance-based approach and variation partitioning based on canonical redundancy analysis. Results Analyses of community dissimilarities between adjacent sampling sites showed comparable small-scale beta diversity along the elevational gradient for the organism groups. However, bacteria clearly showed the lowest elevational turnover when analyses were conducted simultaneously for all pairwise sites. Variation partitioning indicated that species turnover was mostly related to environmental heterogeneity and spatial gradients including horizontal distance and elevation, while purely human impacts were shown to be less important. Main conclusions The elevational beta diversity at large scales was lower for bacteria than for eukaryotic microorganisms or macroorganisms, perhaps indicative of high dispersal ability and good adaptability of bacteria to harsh environmental conditions. However, the small-scale beta diversity did not differ among the groups. Elevation was the major driver for the turnover of eukaryotic organisms, while the turnover of bacteria was correlated more with environmental variation. This entry was posted in Sekalaista on 14.6.2012 by Janne H Soininen. The influence of catchment variables on lake organisms is understudied. The terrestrial zone in the vicinity of lakes is, however, probably highly important for biota due to the effects on water chemistry and to various processes operating across ecosystem boundaries. We examined the relative importance of lake and catchment variables, as well as large-scale geographical factors, on the taxa richness of phyto- and zooplankton in 100 small lakes in Finland. In variation partitioning, the variability of phytoplankton richness was most strongly related to the effects of lake variables, the joint effects of lake and catchment variables, and the joint effects of all three groups of variables. Zooplankton richness, in turn, was most strongly related to the effects of lake and catchment variables and the joint effect of lake and catchment variables. The exact results of the variation partitioning depended on the catchment sizes considered in the regression models. Among lake variables, planktonic richness was strongly related to variables indicating productivity. Among catchment variables, the normalized difference vegetation index (NDVI), indicating catchment productivity, showed a relatively strong association with planktonic richness. These results provide evidence that catchment variables such as the NDVI may be efficient predictors of planktonic richness in small lakes. 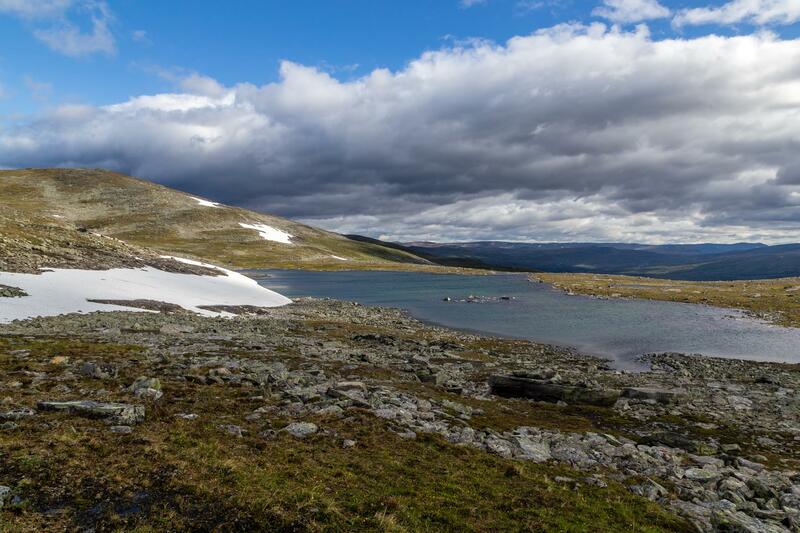 It is possible that individual lakes embedded in a highly productive landscape have higher taxa richness than solitary, potentially productive lakes because of the high influx of dispersing propagules from the regional pool. We also suggest that catchment variables may respond to environmental changes at different scales than the lake variables, and explicit consideration of catchment productivity would therefore be useful when planning research and monitoring programs for freshwater organisms. This entry was posted in Sekalaista on 30.3.2012 by Janne H Soininen. We studied the relative importance of spatial and environmental factors as determinants of algal, bryophyte, and macroinvertebrate metacommunities in two boreal drainage basins differing in spatial extent. We used eigenfunction spatial analysis to model the spatial relationships among sites and distance-based redundancy analysis to partition the variability in biotic communities between the spatial filters generated through spatial eigenfunction analysis and the environmental factors measured in the field. In the smaller study area, each metacommunity was structured mostly by environmental factors. This was evidenced by the fact that either the pure environmental effect was significant or environmental factors were strongly spatially structured. In the larger study area, only pure environmental effects were significant. These findings suggest that the environmental control prevails in boreal headwater streams. However, our findings also suggest that the specific details of the community-environment and community–space relationships are dependent on the focal organism group and drainage basin. 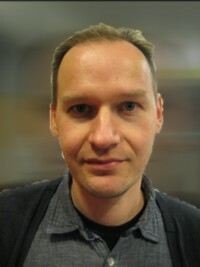 This entry was posted in Sekalaista on 16.3.2012 by Janne H Soininen. Environmental Microbiology Reports 4: 217-226. Although phylogenetic approaches are useful for providing insights into the processes underlying biodiversity patterns, the studies of microbial phylogenetic relatedness are rare, especially for elevational gradients. Using high-throughput pyrosequencing, we examined the biodiversity patterns for biofilm bacterial communities that were scraped from stream stones along an elevational gradient from 1820 to 4050 m in China. The patterns of bacterial species richness and phylogenetic diversity were hollow towards higher elevations. The bacterial communities consisted of closer relatives than expected and displayed increasing terminal phylogenetic clustering towards mountain top. The increasing phylogenetic clustering with elevation contrasts reports for macroorganisms that revealed phylogenetic overdispersion at low or intermediate elevations. Because water temperature showed the strongest correlation with phylogenetic relatedness (r2 = 0.516), the elevational pattern in the bacterial phylogenetic structure indicated that environmental filtering possibly due to lower temperature or more frequent temperature fluctuations increased towards higher elevations. Evidence supporting the environmental filtering on bacteria was also reflected by the orderly succession in the relative abundance of different bacterial phyla along the elevational gradient and in the high evenness of bacterial taxa at higher elevations. Overall, our results indicated that ecological processes possibly related to temperature may play a dominant role in structuring bacterial biodiversity along the elevational gradient. Welcome to my personal webpages – My research covers many aspects of spatial research, biogeography and macroecology with a special interest in freshwater ecosystems. I am especially interested in causes and consequences of biodiversity gradients and large-scale ecology of unicellular organisms. This entry was posted in Sekalaista on 1.3.2012 by Janne H Soininen.